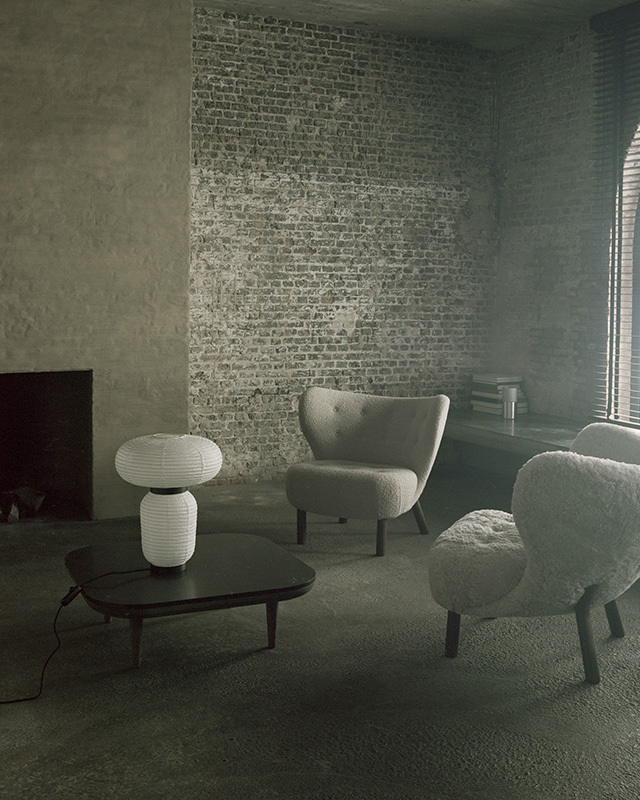 Danish brand &Tradition introduced a stunning line up of new furniture and lighting at Copenhagen's 3 Days of Design. Today I've picked out some to share with you, starting with Little Petra by Viggo Boesen. Initially introduced back in 1938, Little Petra won instant praise at the Copenhagen Cabinetmakers Guild Exhibition, subsequently winning awards at exhibits in New York and Berlin. It's one of just a few designs by architect Viggo Boesen, who became associated with Denmark's signature design aesthetic in the 1930s called funkisstyle. Named after Boesen's mother-in-law, Little Petra is indeed surprisingly petite, able to fit into all kinds of spaces, interiors and environments. 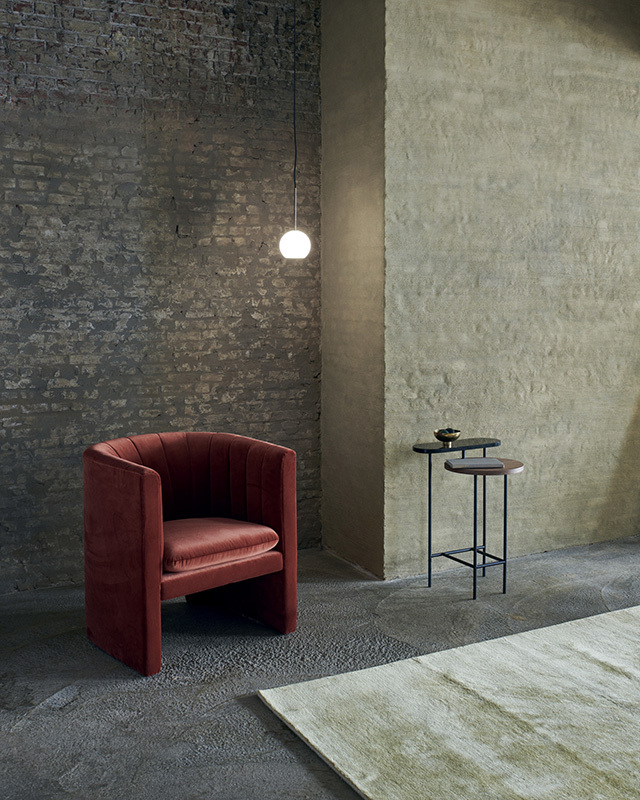 Low to the ground, open and embracing, it embodies the essence of a lounge chair, allowing for all kinds of seating positions in any cosy setting imaginable. A lot of work has gone into ensuring the utmost comfort, from the seat to the upholstery. 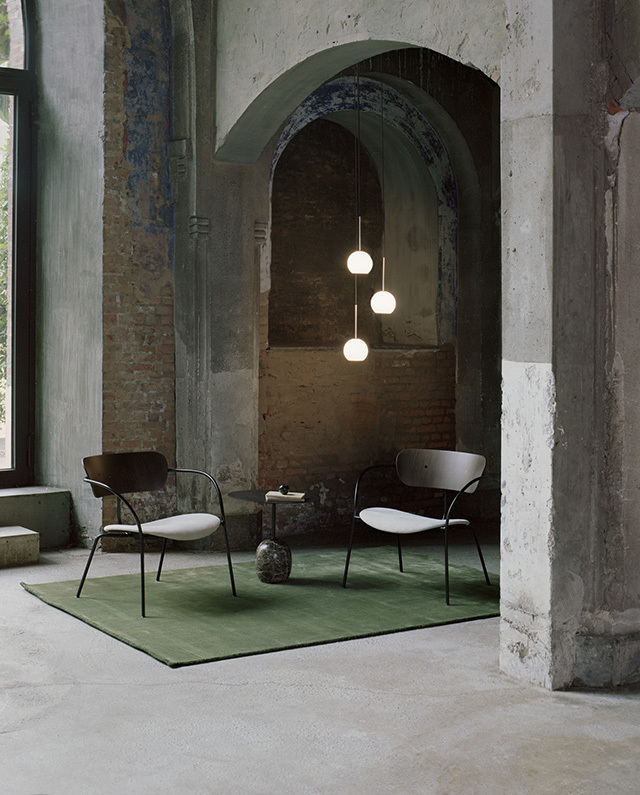 Respecting Boesen's love of natural materials, the legs of the chair have been crafted in oak or walnut. 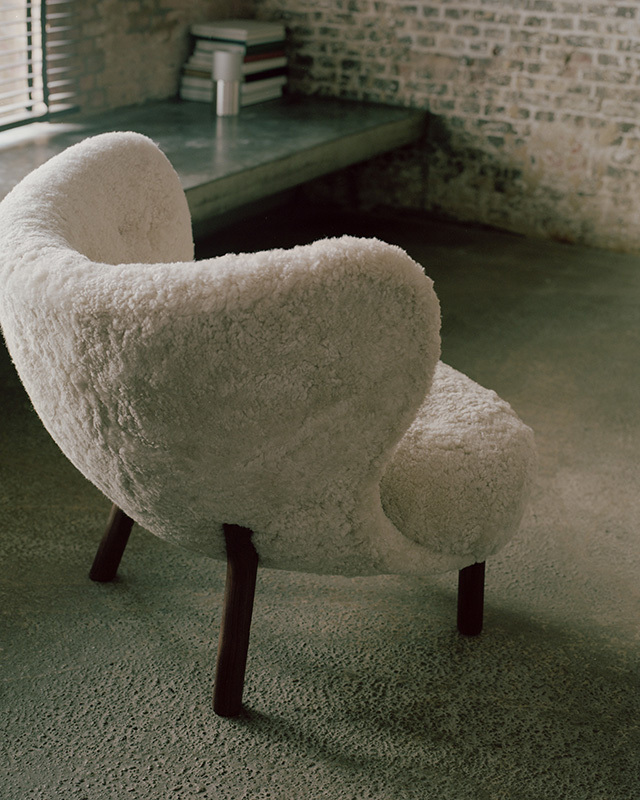 The result is an endearing lounge chair that beckons you to stay. I love it! 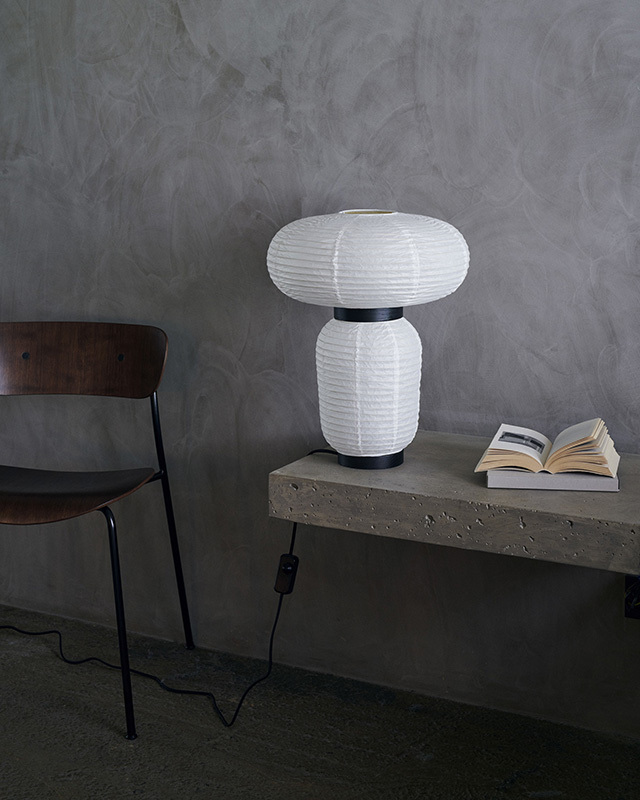 Following on from the popular Formakami Pendant lights by Jaime Hayon, &Tradition have now introduced the Formakami Table Lamp. 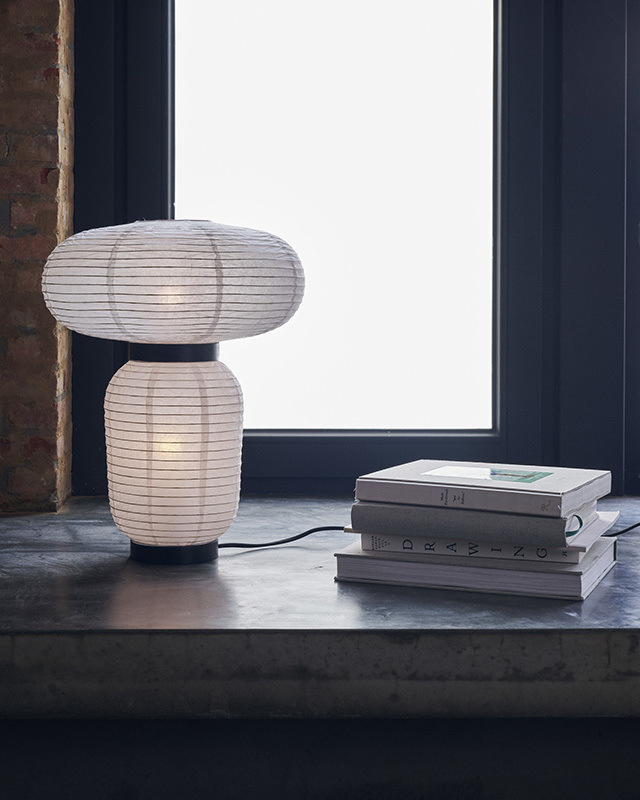 With the same airy, bulbous shapes hand crafted in delicate rice paper and contrasting black lacquered ash accents, the lamp gives the iconic Asian lantern a contemporary, Scandinavian twist. 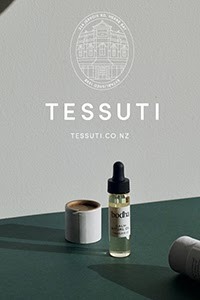 A big fan of the pendant, I'm thrilled to see this new addition. The new Ice pendant by Sofie Refer is the perfect embodiment of the &Tradition philosophy that simple is sophisticated. 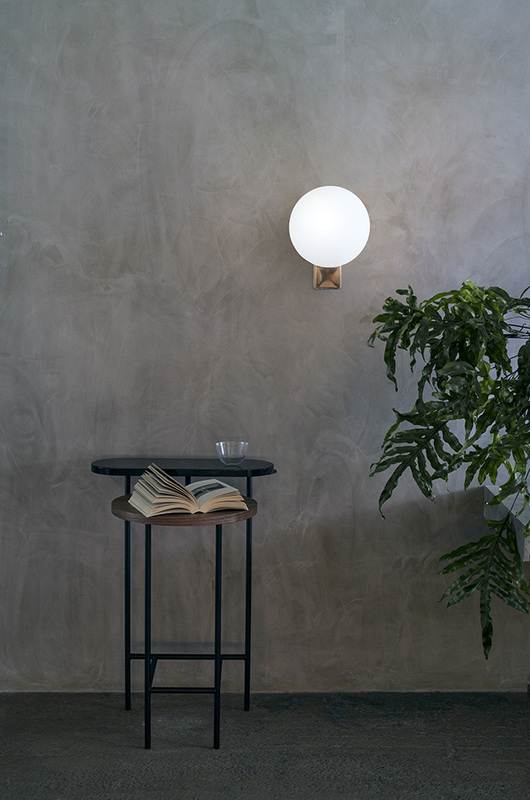 Featuring a satinised glass globe shade suspended from the ceiling by a black cord adorned with a brass or bronzed-brass detail, the light exudes an atmosphere of elegance. Designed to be displayed as individual pendants or arranged in a row or group, Ice offers plenty of options to create a signature touch. 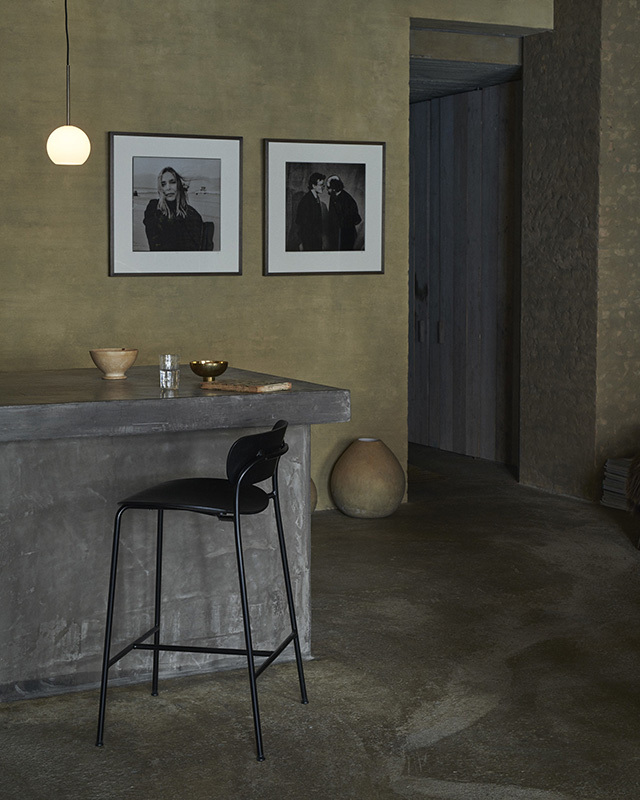 Ideal for furnishing an expansive bar or a kitchen counter without appearing crowded, the Pavilion bar stool by Anderssen & Voll has a beautifully airy feeling. 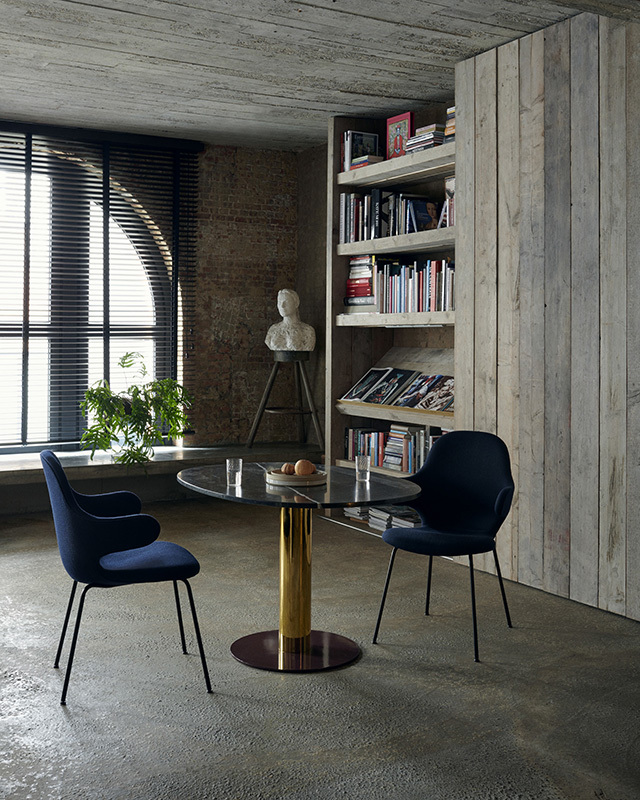 With fluid curves for the wood veneer seat and back which continue as lyrical lines in the steel tubes of the legs, the result is a silhouette that's barely there. Currently on the lookout for new bar stools for home, these are a new favourite! The idea of mixing people, ideas and elements lies at the core of Mezcla, a table concept by Spanish designer Jaime Hayon, characterised by a mix of exclusive materials. "The Spanish word for "mixture" is Mezcla," explains Hayon. "For me it captures the essence of different people coming together and diverse design elements together - in a series of tables where the materials, shapes and colours could meet and greet, so to speak." 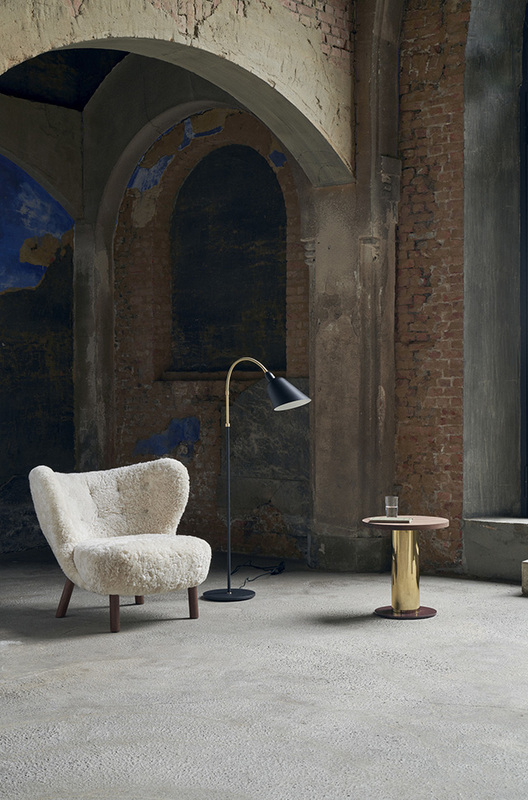 The collection includes a side table, lounge table and dining table in various finishes. Lastly, some exciting updates to the Palette series by Jaime Hayon, I love the multi-tiered design of these tables. 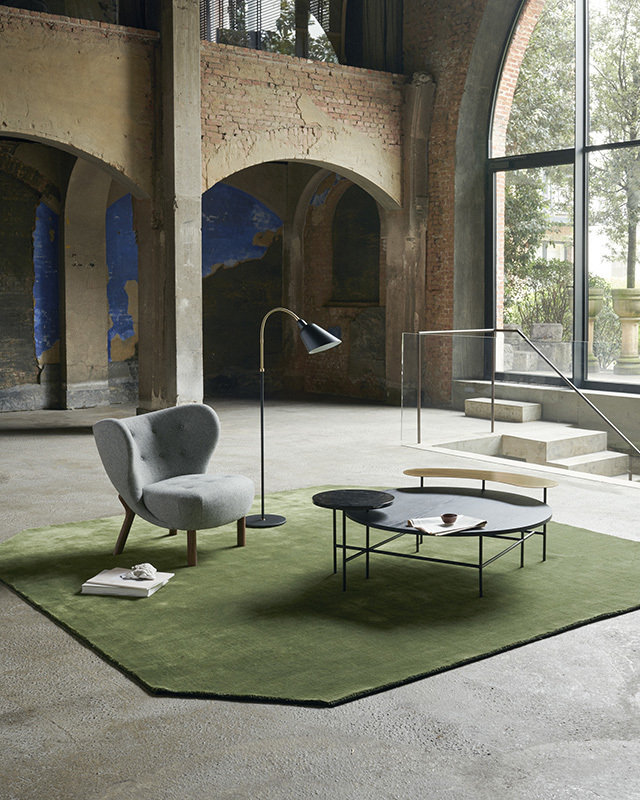 The new Palette side table creates a cosy enclave ideal for a coffee, an intimate chat and more, while the larger lounge table opens up opportunities for more expansive spaces and experiences. To add to the mix of intriguing elements is a new combination of upscale materials - walnut, black marble and satin polished brass. 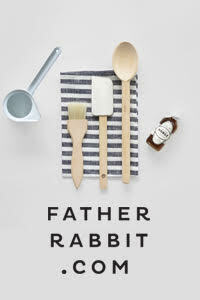 To see all of the new collection pieces, visit www.andtradition.com.